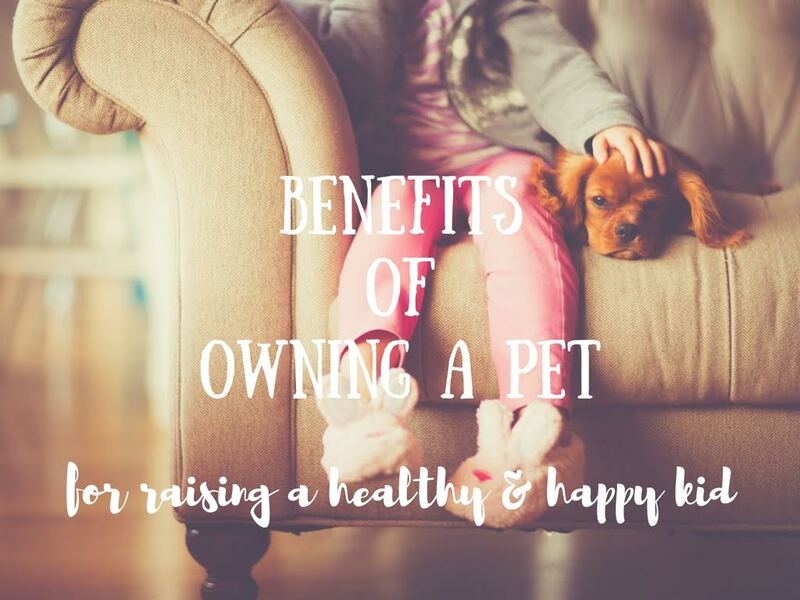 If you want your kids to truly experience all the benefits of childhood and growing up, you might want to consider getting them a pet. Spending time with an animal friend has an amazingly positive influence on the child’s physical and mental health. If you’re still worried whether a pet is the right choice for your family, keep on reading. People may still be skeptical about this, but several studies have proven that children who grow up with pets are less likely to develop allergies in the future. 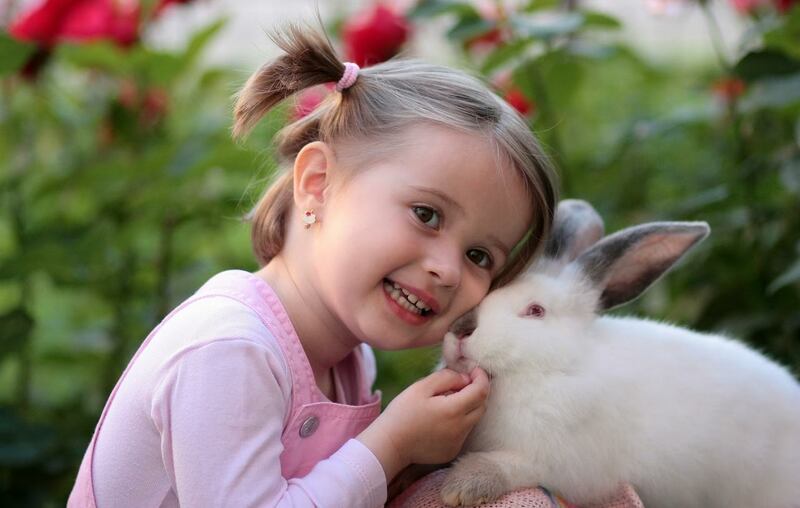 Basically, spending time with a furry animal boosts a child’s immune system. Unfortunately, pets can’t work their magic on adults with already clear symptoms but they can still improve a young child’s quality of life. In general, kids who have pets in their lives, and especially cats and dogs, are more likely to spend time outdoors. Pets need their walks and kids enjoy this task. Running around and playing with their furry friends is also very beneficial for the child’s overall health and fitness. There are also many health benefits in allowing your child to get dirty. If they know that they can go out in the yard or even a park with their pet and truly engage in a creative playtime, you will pave the path to a happier and healthier life for your child. Just make sure that your pet is well protected from fleas and ticks with efficient remedies such as Sentinel Spectrum or Novartis Capstar. 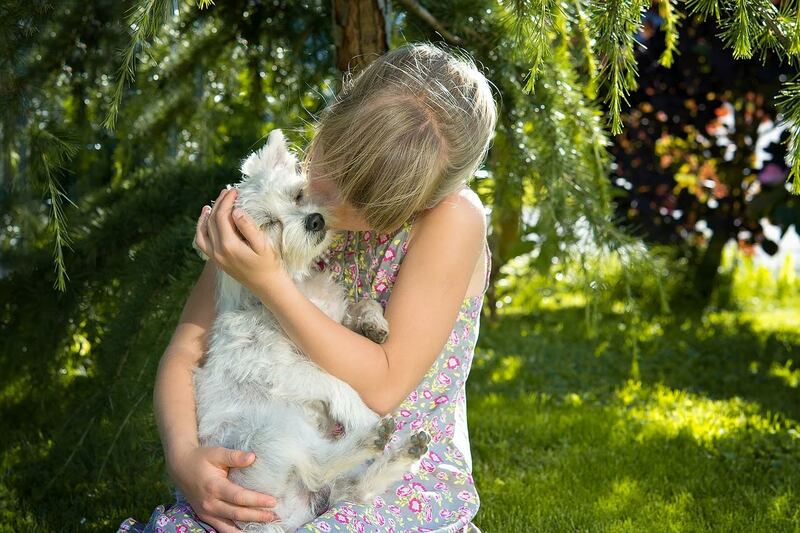 Cats and dogs may be the best choice when it comes to the loving friend your child will have as they grow up, but if you don’t have good conditions for both of those, don’t deny your children the benefit of a pet. A rabbit and even a hamster can still be a great influence. Make sure to allow your kids to take responsibility for their furry pals. That way they will get the chance to become even more familiar with the animal. Also, children will develop a caring mindset gradually, which will surely have a positive impact on their adult behavior. There will always come a time in your child’s life when they simply can’t seem to bond with other children. What’s more, fights with their peers are practically unavoidable. Sometimes, adults don’t make the best company for kids in these cases. However, a pet that’s always been there for them to offer unconditional love and comfort can soothe the child efficiently. The strong bond between kids and pets that grew up together is not to be underestimated. This means understanding that the bond the two of them share can be exactly the right solution for touchy and painful situations that the child is bound to experience through childhood. Having someone wholeheartedly there for them will also encourage kids to deal with emotional problems within their own strength. Make sure to teach your kids everything about providing proper care to a pet. This involves age-appropriate tasks of course, but gradually, you can involve them with complete responsibility that comes with owning a pet. Apart from a caring mindset, children will also learn a lot about fulfilling someone else’s needs and being pretty meticulous in their chores. For example, let the kids engage in feeding and bathing your pet. Let them choose their food and even accessories and other health products. For example, Nettopet accessories can be a real eye candy for a child, while at the same time they’re extremely beneficial for a pet’s health. Create an environment in which the child can instinctively notice when the pet’s bowls need to be cleaned and refilled, and when the pet needs a bath or brushing. That way, taking care of a pet will stop being a chore, but an instilled sense of responsibility that will seem natural to your kid. Negative aspect that’s actually positive. A lot of parents are worried about getting their kids having a pet at young age because they are aware of the fact that the kid will have to deal with the loss of their pet sooner or later. This is undoubtedly an unpleasant topic and it seems heartbreaking that anything positive can be taken away from this. But, in all honesty, even the pet’s passing can help the children learn how to cope with stressful and painful situations of this magnitude. With all that’s been said, you’ll be doing a great favor to your child if you let them experience the warmth and company of a pet. A family pet will not only help your child in numerous ways but it will also deepen the family bonds and make your time together that more meaningful and lovely. 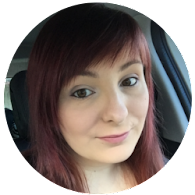 Zara Lewis is a mum, designer, and regular contributor to highstylife.com. Find her on Twitter.